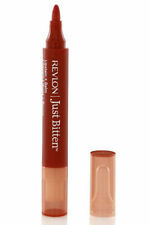 This smooth and creamy lip liner glides on for quick and precise application. Resilient Rouge is a Bright Cherry Red with a cream finish . Tattoo My Heart is a warm coral with a cream finish . A liquid lip colour that's the ultimate fusion of gloss and stain. It's Never Ending is a deep raspberry with a cream finish . A liquid lip colour that's the ultimate fusion of gloss and stain. 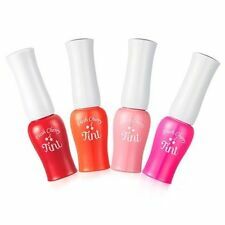 Truly Everlasting is a Bright Warm Pink with a cream finish . Infused with emollient oils, its creamy, lightweight texture stays bright, lustrous and so comfortable without ever cracking or peeling. DONOT WAIT LIMITED AMOUNTS. 100% AUTHENTIC. COLOR: CORAL. MANUFACTURE: MAC. CONDITION :All are new in the box, and they have never been tested nor used. DONOT WA FAQ's 100% AUTHENTIC. 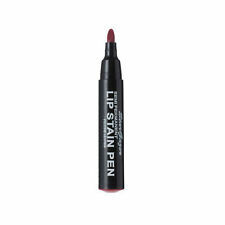 A LIP COLOUR THAT PROVIDES A SPLASH OF COLOUR IN LIQUID-SUADE FINISH THAT LINGERS. NEW NEVER USED. M∙A∙C Versicolour, the ultimate fusion of gloss stain, all in one fluid formula that melts onto lips for a full-on glassy shine that lasts and lasts and lasts. Infused with emollient oils, its creamy, lightweight texture stays bright, lustrous and so comfortable without ever cracking or peeling. Like an energy shot for your lips, a range of resilient hues live long into the day (and night). Welcome to your new obsession. ENERGY SHOT. Net Wt 8.5 mL / 0.28 fl oz. Very fresh and always authentic! New in box. This item has not been tested or used. 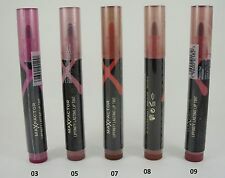 Mac Versicolour Stain Encre A Levres Un líquido de color de labios que de la fusión definitiva del brillo y manchas.La fusión definitiva de brillo y las manchas en una fórmula de líquido que se derrite en labios Para Un full-on GLASSY Shine que dura y dura y dura. Ligero, impregnado con aceites emoliente, su cremosa textura permanece brillante, lustroso y tan cómodo sin grietas o pelar. Como un shot de energía para tus labios, una gama de matices resistente Live Long en el día (y de noche). Infused with emollient oils, its creamy, lightweight texture stays bright, lustrous and so comfortable without ever cracking or peeling. We DO NOT carry any imitations or knock-offs. Picture for illustration purpose only . 2,4ml deluxe size. New and Unused. ll sales are final . 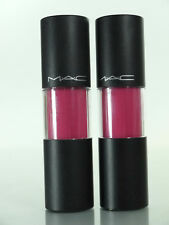 MAC Versicolour Stain Lip Gloss " ENERGY SHOT" 8.5 ml / 0.28 oz. MAC Quiktrick Stick Bronzer & Highlighter Duo "ALL ALFUSH/ HERE YOU GO". Color: GOOD KISSER. LIMITED EDITION FROM THE NOVEL ROMANCE COLLECTION. 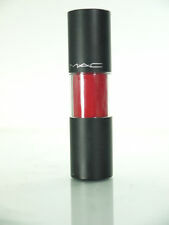 Mac Versicolour Stain. Infused with emollient oils, its creamy, lightweight texture stays bright, lustrous and so comfortable without ever cracking or peeling. NEW unused. 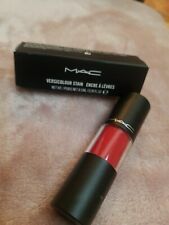 Mac Versicolour Lip Stain - It's Never Ending Full Size New in Box. Condition is New. Shipped with USPS First Class Package.